2. Drain and discard any fat. 3. 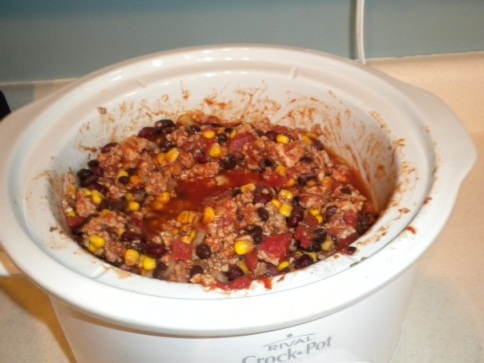 Place all ingredients except cheese into a slow cooker. 4. Cook for 4 hours on low or 2 hours on high. 5.Top with 1 oz cheese if desired.